Contrast a premium wordpress theme which is suitable for photographers, graphic and web designers, corporates with a kickass features. If you are searching something different and out of the line, please check the Live Preview. 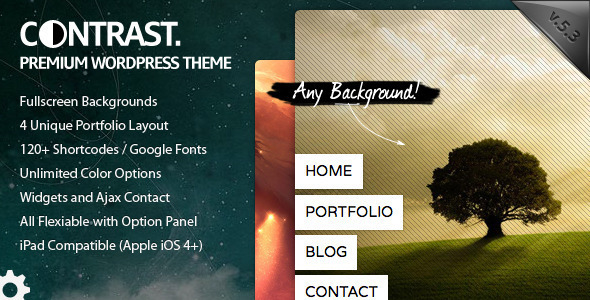 Now, the Top Selling premium wordpress theme is much more powerfull! Moreover, Contrast is the first fullscreen wordpress theme around the world and constantly being developed since 3 November 2009.